After mockups and splintered spyshots by the handful, it’s a great day today as the first official images of the Nokia Lumia 900 (the Nokia Ace, by another name), have leaked. Nokia is set to take to the stage at CES and announce the phone shortly. As you can see, AT&T’s Windows Phone applications are present on the handset, confirming again that the phone is headed to that network. The Lumia 900 (Ace) is an LTE enabled handset which is very similar in design to the Lumia 800, but sports a larger screen. It is expected to be Nokia’s highest-end phone. 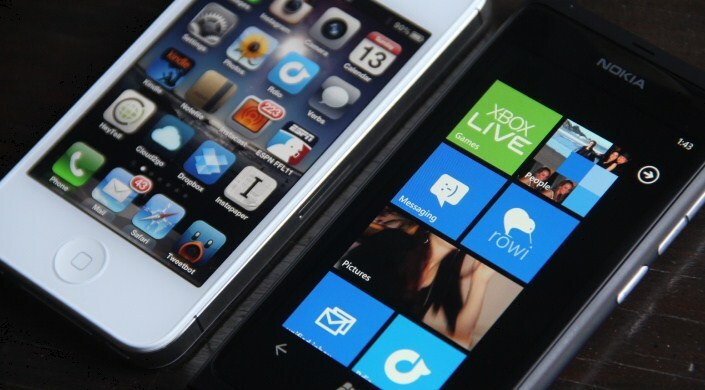 News of the Lumia 900 has been bouncing around for some time. Originally, it was expected to be put up under that tag, but it appears now that the name ‘Ace’ may be employed in the US market instead. Nokia’s event, which TNW will be attending shortly, will contain a plethora of details on the device, we suspect. We expect the handset to pack a speedy single core processor, and a front facing camera. We hate to leave you hanging, but Nokia is about to make a whole host of things clear; the next steps for Windows Phone are about to become known. Hang on just a little longer. You can find all of our CES coverage here.